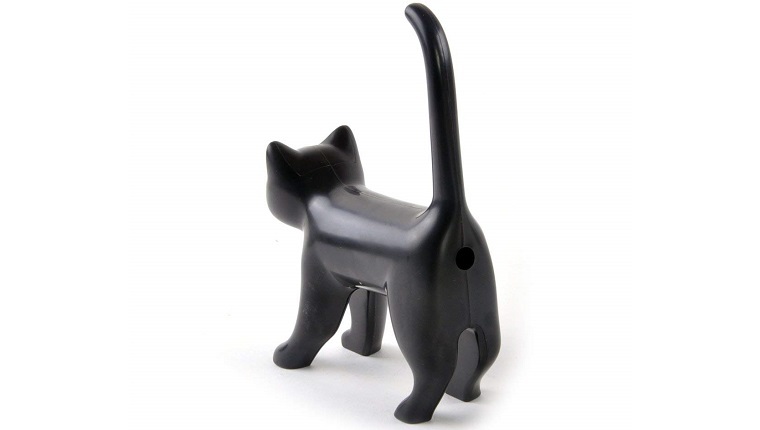 Feeling stumped on what to get the cat lover in your life? Whether it is a spouse, a co-worker, or someone you secretly want to turn into a cat person, these kitty-themed stocking stuffers will put a smile on their face. No matter your age, it’s hard to resist the adorable-ness that is Pusheen the cat. 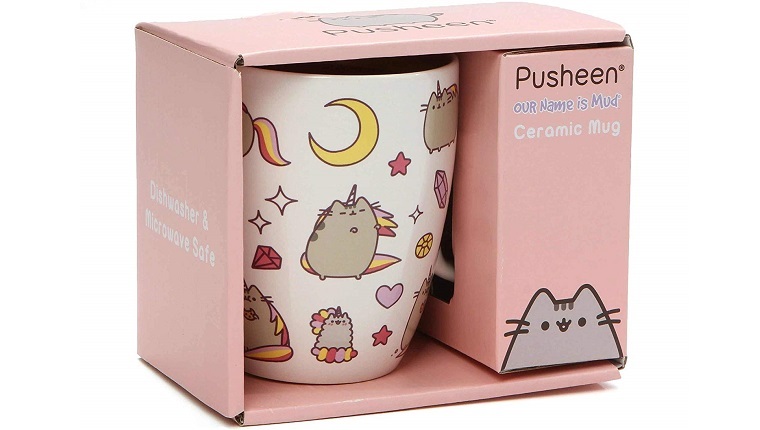 If you have a cat person in the office grab bag, consider ordering this Pusheenicorn mug. It will make their morning coffee extra magical. Buy it on Amazon here! The holidays can be stressful. Between gift shopping and decorating and parties and family, things can be downright overwhelming. 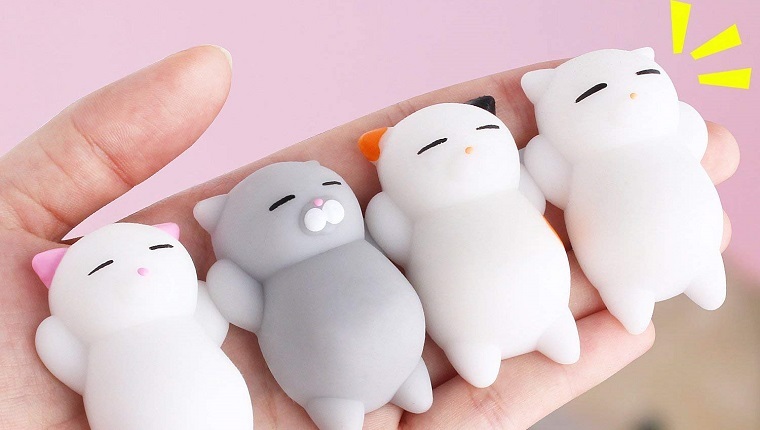 Give your anxious or super-stressed friend a pack of these Mochi Stress Toys. Buy them on Amazon here! 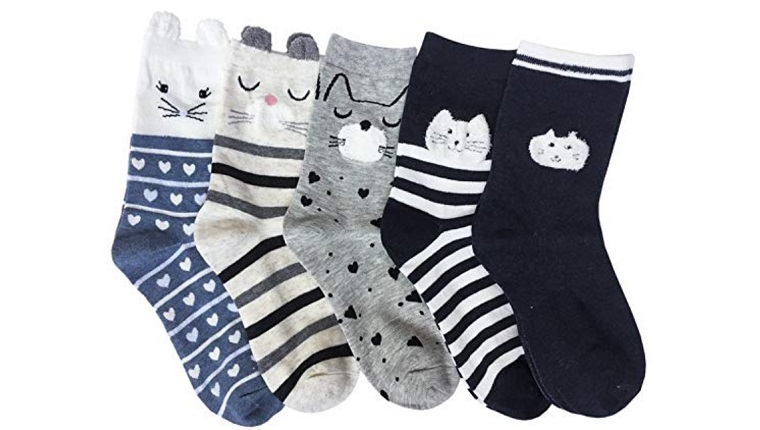 It’s a universal truth: you can never have too many socks, especially ones that feature cats. It may seem silly to stuff stockings into stockings, but whoever gets to open up these festive socks will be glad you did. Buy them on Amazon here! If the cat person in your life has a sense of humor, this is the perfect stocking stuffer for them. When you sharpen the pencils, this cat actually meows! Buy it on Amazon here! Pins are simple, cute gifts that work for almost anyone. 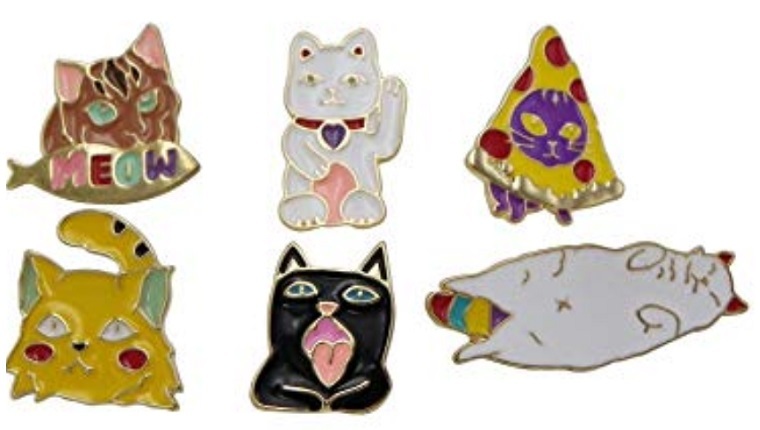 Cat fanatics can wear these on jackets or backpacks for a little added flair. Buy them on Amazon here! This is for THE cat lady in your life. 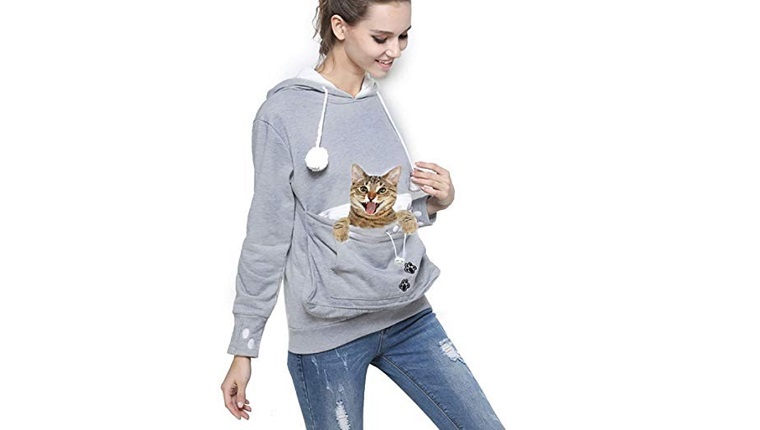 This hoodie not only has cat ears, it also features a giant kangaroo pocket so your friend can carry around her kitty everywhere she goes. Buy it on Amazon here! This gift is kind of great for someone who has you stumped with what you should get them as a gift. 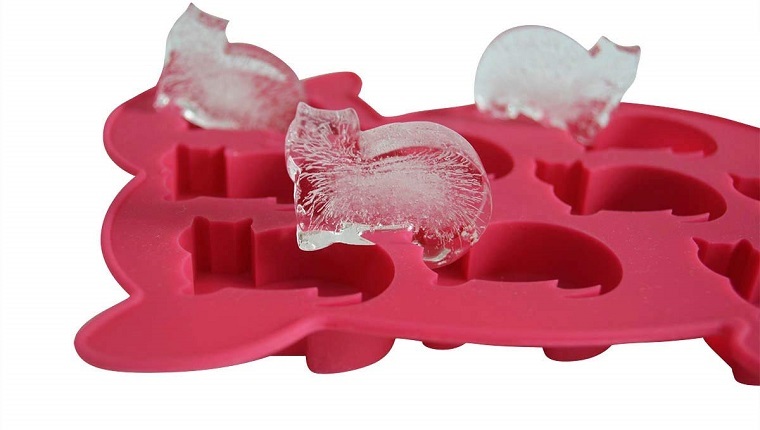 This cat ice cube tray can be used for ice, as the name suggests, but could also be used as a jello or candy mold. Buy it on Amazon here! Are you going to grab any of these stocking stuffers for the cat lover in your life? What is your favorite cat-related gift? Let us know in the comments.